In a game where the Terps were playing for Kay, they looked as if they were playing to get rolling for the upcoming NCAA Tournament tonight with a convincing, 72-57 victory over Northwestern. Stephanie Jones had 16 points and nine rebounds, reserve Sara Vujacic made all four of her shots in the first half, where the Terps not only found ways to score in bunches it seemed but the forced Northwestern into some costly mistakes that turned into key points for the Terps. 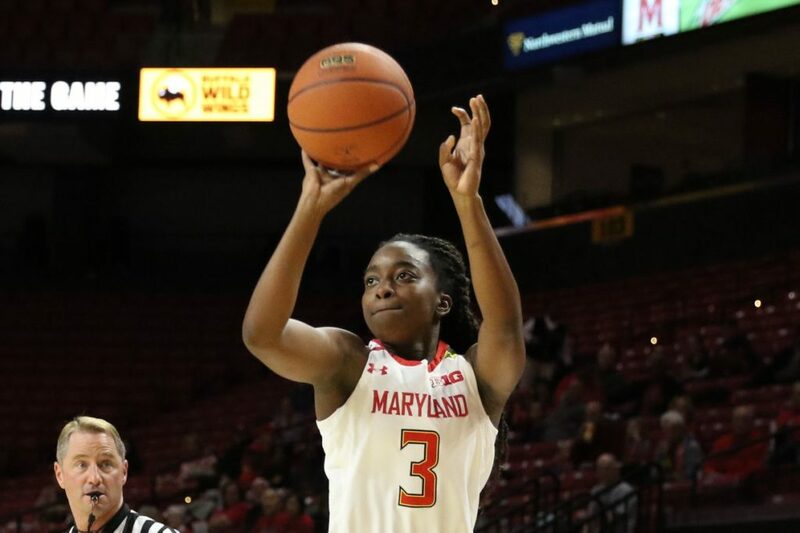 While the Terps have lost just two games this season, Head Coach Brenda Frese has seemed to find a better mix of her starters and bench players when it matters the most. The big difference for the Terps tonight was their ability to get good looks from long range. Maryland went 8-for-16 from beyond the arc, getting 3s from four different players.